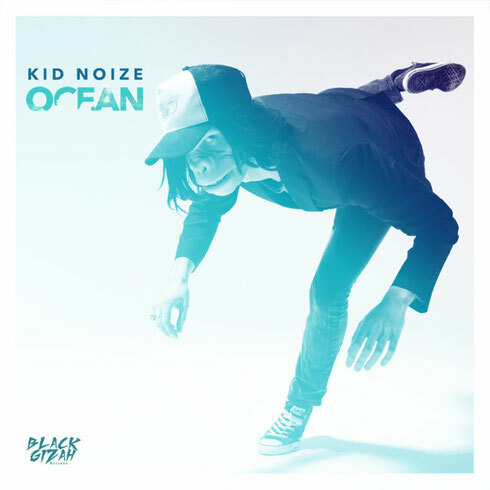 DJ/producer Kid Noize releases his new single 'Ocean' via Black Gizah Records this month. It’s apparently just taken a few years for him to possibly become one of the most acclaimed DJs in Belgium and is the only DJ that has been nominated at the D6bels Music Awards in the best live performance category, next to Stromae and Girls in Hawai. Kid also produced and directed many singles such as ‘Jackass’, ‘Brooklyn’, ‘Summer Legend’, the brand new ‘Ocean’, as well as ‘The Golden Age’ and ‘Feed Me’ produced for ‘Mustii’, the young artist signed on his label, Black Gizah Records. Born in Brussels, he moved to Charleroi in 2011 as he sees the city as a new Berlin and has dedicated the clip ‘Elektropical’, to his beloved city. He also collaborated on ‘Smoke On The Water’ with Dirty Monitor and the city of Charleroi rewarded him with a Beffroi de Crystal for the event. His first album to be released, ‘Dream’, will be available on 30 September 2016.